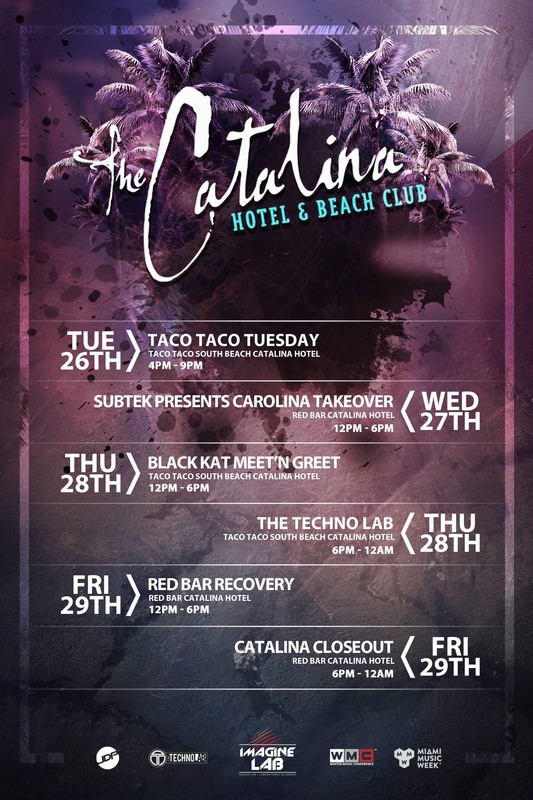 The Catalina Hotel & Beach Club will host The Techno Lab during Miami Music Week, just one session in a marathon string of parties. The South Beach address— which features two restaurants, two pools, four bars and complimentary happy hour drinks for guests— will welcome an array of names over six days, from 26th - 31st March. Tuesday 26th will see JD Powell arrive in the booth, followed by Seth Lowery, DJ Val and JD Powell again (27th), with the latter returning once more the following evening— Thursday 28th— for The Techno Lab. Other names set to play include Danny House (28th, 30th, 31st), Madeleine Sievens (28th), DJ Habb and Vaporized Records (30th), Christopher Logan (31st) and SoulArtefacts presenting Soul Therapy (also 31st).